40GB PS3 to launch as soon as next week? Italian magazine spills beans. But is it true? The new 40GB PS3 now looks like a sure thing... but when? The yet to be officially announced 40GB PlayStation 3 will hit the shops in Italy in six days time and will cost the euro-equivalent of £278. The entry-level PS3 has been a hot rumour for the last couple of weeks, with many tipsters saying it'll have fewer USB ports and no backwards compatibility. 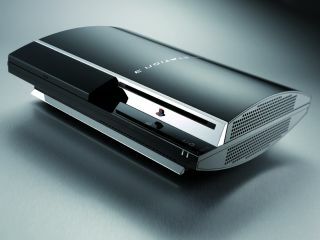 It was Italian trade magazine Gamestore which revealed the €400 (£278) PS3 rumours. It also said that the console will be available to buy with two games for €100 (£70) more. If the rumours are true - and remember in this industry there's usually no smoke without fire - we could see the cut-price PS3 launching in the UK for nearly £150 cheaper than the current £425 recommended retail price. It seems a bit odd that the release day would be next Wednesday though, seeing as Sony has not even testified to the existence of the console yet. And it would also be unusual for Sony to pick Italy as the first country to launch a new product, especially one as momentous as this one, and particularly with Sony's 'Big Bang' announcement allegedly scheduled for Friday 12 October. Still though, it doesn't look like it's going to be too long before more of us can afford to buy Sony's new baby, and that has to be a good thing.